Unlike most public schools where Music, Art, Handwork, Foreign Language, and Environmental Education (if imparted at all) are at best extra-curricular programs, they are central to the way each student learns at the Novato Charter School (NCS). Mr. Blacklock completed a program in music performance, composition and arranging at Berklee College of Music in Boston, MA. He received a Bachelor of Arts Degree in Liberal Studies and a Master of Arts Degree in Interdisciplinary Humanities from San Francisco State University. His work in the humanities was centered on discovering links between music, philosophy, and history. 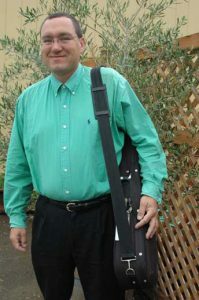 Besides teaching music, Mr. Blacklock is also a composer and a performer. He currently plays with two local bluegrass bands: Keystone Station and Wild Blue. 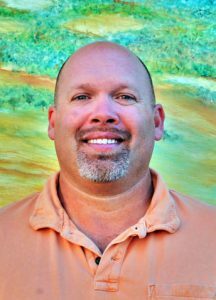 He joined Novato Charter School in 2001. I grew up in a very musical family. Everyone played an instrument and also loved to sing. I have fiddlers and violinists on both sides of my family going back as far as anyone can remember. I love music and believe it is one of the most valuable skills that a young person can acquire. My grandfather used to tell me that music is an international language that can be used to communicate with people all over the world even if you don¹t speak the same verbal language. I began my teaching career as a private music instructor in a small school and soon realized that working with children was what I was meant to do. I am constantly learning from my students. Their world is a wide-open landscape of possibilities. I love how they constantly yearn to experiment with new ideas or when they come up with new ways of playing an instrument that I had never thought of before. I admire their willingness to take chances. Children love to play, and music, even at its highest levels, is a sophisticated form of play. Shinichi Suzuki, the great Japanese music educator, said, “Teaching music is not my main purpose. I want to make good citizens.” I share his passion. Not just to teach a few very talented students to become professional musicians, but to show everyone the path to the joy of music. At the Novato Charter School, teachers really understand how to engage children and how to spark their imagination. This is a school that teaches to the whole child and recognizes and honors the diversity of learning styles. As a music teacher, I especially admire the way music is skillfully integrated into the curriculum throughout the grades. I have also been very impressed by the emphasis placed on aesthetics throughout the school which creates a lasting impression on our students. This is a lesson they will carry in them for the rest of their lives. Pauline Yee is the Garden Coordinator. Pauline joined the staff at Novato Charter following three years of weekly volunteering in the school garden as a parent volunteer. Pauline brings a wealth of experience as a naturalist, environmental scientist, and backyard gardener. She holds a Bachelors of Science in Environmental Science and a law degree. Mrs. Jones earned a Bachelor of Industrial Engineering Degree at the University of Minnesota at Duluth and a Master’s Degree in Business Administration at the University of Colorado at Boulder. She has previous work experience in engineering, product development, teaching, and tutoring. 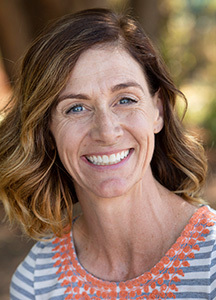 Prior to joining Novato Charter School, Mrs. Jones spent 3 years at Dunham Academy (the Marin School for Gifted Education) working as the Upper Level Math Teacher and was later promoted to Chair of the Mathematics Department. Her other teaching experience includes work for Saint Patrick School in Larkspur, IvyWest SAT tutoring, and private client math tutoring out of her home office. She is also an active volunteer in the community and teaches weekly classes at St. Isabella’s Parish School of Religion and Vallecito Elementary School. Mrs. Jones is the mother of three boys. It is an honor for me to teach these lovely children at Novato Charter School. The NCS community and culture truly inspires creativity. My goal is to help make math meaningful for the students and to be a source of encouragement and help as they learn and grow. Justin Bayer studied Political Science and Creative Writing at Western Michigan University in Kalamazoo, earning a Bachelor of Science Degree. Upon graduation, Mr. Bayer worked in several different sales and fundraising positions for various non-profit and sales organizations, and later worked as a Physical Education instructor at Brookside Upper Elementary in San Anselmo, CA. During this time, Mr. Bayer also coached basketball at both the high school and college levels. Mr. Bayer has over fifteen years of coaching experience, serving as the head basketball coach at Marin Academy in San Rafael and is currently a Men’s College Assistant Basketball Coach at the CSU California Maritime Academy in Vallejo, CA. In the last six years, he has coached his children’s basketball, baseball, and softball youth teams. Some parents measure their child’s growth by notches on a doorframe, however, my dad always measured my growth by moving up the basketball rim on the garage. Growing up in Michigan, I fell in love with athletics at an early age. I loved and played many sports, but basketball was a particular favorite. In high school, I was fortunate to be part of a championship basketball team and was an all-state Point Guard. Cal Maritime, where I currently coach, has won the last two California Pacific Conference Championships and has advanced to play in the NAIA Division II National Championship Tournament in each of those seasons. I’m passionate about teaching Movement because I thoroughly enjoy being around kids and helping them develop and refine their skills while gaining confidence and learning about integrity, conflict resolution, and sportsmanship. It’s an absolute joy to see a child expand their boundaries. Novato Charter School is a special community and I know this firsthand because we’ve been lucky to be parents here for over 7 years. It is a privilege to take on a new role in our community and I feel fortunate to work with our students, the dedicated faculty and staff and the wonderful and caring parents. Born in Colombia, Liliana Castro is currently the Kindergarten through Eighth grade Spanish teacher at Novato Charter School. Maestra Liliana holds a BA in Journalism and Communications from Universidad de la Sabana in Colombia. She has graduate studies in Environmental Management and Social Research Studies from Universidad Bolivariana. 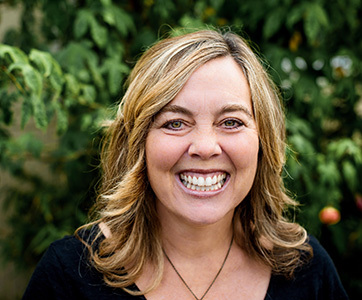 She completed her Waldorf Teacher Training in 2014 at the Bay Area Center for Waldorf Teacher Training and has taught in Waldorf schools since 2012. Prior to moving to the United States, Liliana worked in public relations for ISAGEN, a power generating company. In the 1990s, she worked developing strategies for national and international social, cultural, and educational programs for the First Lady of Colombia, during the Cesar Gaviria presidency. 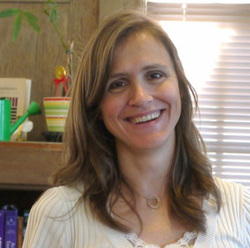 Maestra Liliana is a member of the Waldorf Spanish Teachers Association of North America and has attended seminars organized by them. Learning a world language is an important part of the Waldorf Curriculum, not just as an academic exercise, but as a gateway to understanding and communicating with human beings who are different from us, with their own individuality and life experiences. When a child learns a world language, their thinking becomes more flexible and their whole horizon is expanded. They become more aware and appreciative of other cultures and of the diversity in their community. In the elementary grades (First through Third), the children learn Spanish by being immersed in the living atmosphere of oral language. They learn the Spanish language by speaking, singing, movement, playing games, stories and reciting verses. In the Fourth and Fifth grades we keep the same elements but I also gradually introduce written language and the rules of grammar and spelling. In the Middle School, students will start a more rigorous Spanish program, where they will work with a textbook and online learning tools that will prepare them for high school Spanish. At first, learning a new language can be challenging and disorienting for the children as they struggle with trying to understand it. However, with patience, time, and parental support, the children will begin to relax and be pleasantly surprised when it begins to become understandable to them. Kris Vine earned a Master of Arts in Sociology and a Bachelor of Arts in Psychology at California State University, Chico. After years working as a Career Counselor guiding adults through the employment-seeking process, she took time off to raise her children. During the time she was raising her children, she discovered that her knitting and crocheting skills were still there! She learned to knit and crochet at the age of eight from her grandmother. She spent three years working as a Handwork Helper in the classroom. Her goal is to foster the love of handwork so her students continue to do it throughout their lives. I feel like I have been training for this job my whole life. I have always loved Handwork and now I get to teach what I love. Working with children and seeing their faces when they complete a project is priceless! 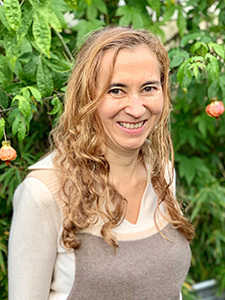 Caren Gutierrez joined Novato Charter School in the fall of 2018 after fifteen years of working in art museum education. Previously, Caren worked as the Associate Director of Education at both the Asian Art Museum of San Francisco and the Crocker Art Museum in Sacramento. She also worked for six years as a Special Education teacher for Sacramento City and San Diego Unified School Districts. 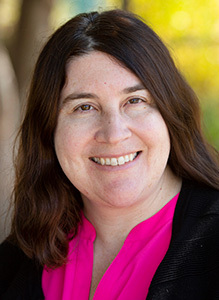 Caren has a BA in Art History and History from UC San Diego, an MA in Art History from UC Davis, and an MA in Education and Teaching Credentials from San Diego State University. When she is not at NCS, she is spending time with her husband, Steve, and wonderful boys, Andrew and Evan.